It’s a chance to walk with your colleagues, clients and other industry professionals while raising money to fund essential programs. Confirm your standing as a leader in your industry. Foster stronger relationships with clients and colleagues. Instill a sense of pride in the workplace. 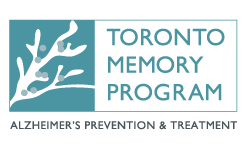 Raise your profile while raising funds for Alzheimer Society of Toronto. Make a one-time donation to jump-start your employees’ fundraising. Provide internal incentives or prizes for your employees to reach their fundraising targets. In-person presentation on “how to fundraise”. User friendly online registration and donation system. Fundraising tips, ideas and pledge forms. We want your team to be successful! Click here to view other printable fundraising resources. Be a champion! Join the Corporate Challenge with your co-workers and challenge other industry professionals to a friendly competition in support of Alzheimer Society of Toronto. Form a team and join us on February 2, 2019!